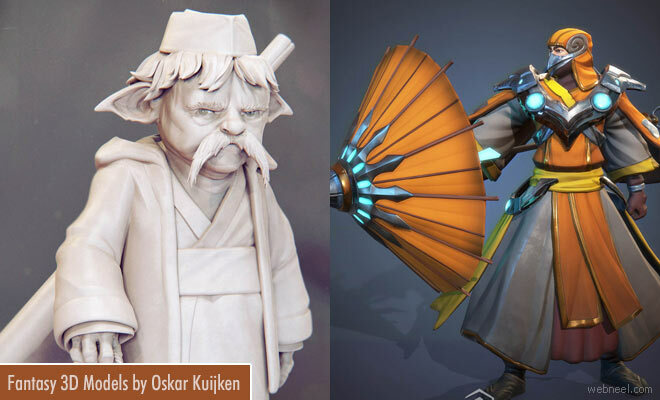 3D Models : Oskar Kuijken is a character 2D and 3D Model artist from Belgium. He graduated and started working in the art industry from 2013. He enjoys creating living worlds with his cute, fantasy and concept 3d models which are sometimes a bit insane. He uses Autodesk Maya, 3D Studio Max, Adobe Photoshop and Pixelogic Zbrush to create his stunning character 3D Models. He has created many 3D Character designs for games like ArrowheadGS, Age of Wonders and so on. He has won several awards and a known figure in the video gaming industry.